I was sat at The Rake a while ago, interviewing one of the guys who works there about the meaning of ‘craft’ in the beer world. A discussion of his answers is for another time, but one thing he said struck me in relation to today’s post: he wanted craft beer to target ‘the adventurous; the curious; the open-minded.’ I arrived home and opened a bottle that to me epitomises this, the unflashily named Bristol Beer Factory Wheat Wine. There is almost nothing more craft beer than that list of words, unless they could somehow make it also both ‘imperial’ and a saison. At its heart, it’s very wheaty beer, with the 75% proportion being about as high as they go – German-style weizenbier/hefeweizen comes in around the 65% mark. That’s the starting point and The Bristol Beer Factory hang on it a number of even more craft beer additions. Firstly, there’s the bourbon barrel ageing. While this can often be ‘how to ruin a good cask’, as I was (accurately) told recently, it can on occasion add something quite special to beer. 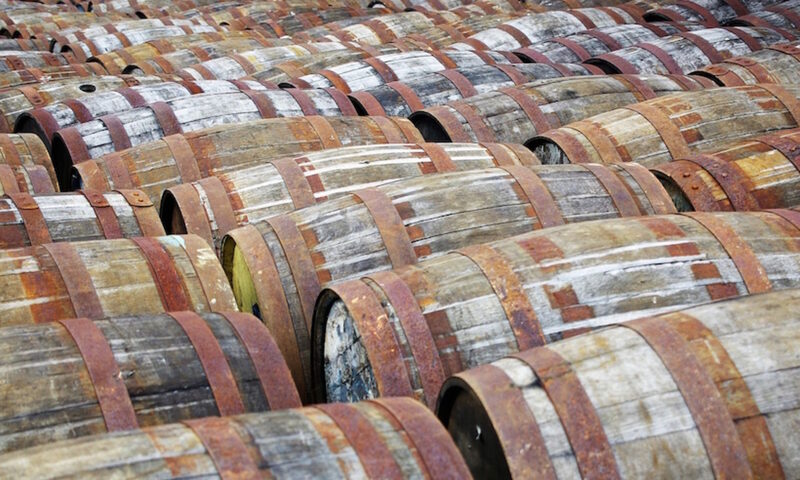 Using casks to to store maturing beer before drinking is far from new, but using them with similar intentions as whisky makers, to extract flavour from the wood, is more so, and is much loved by craft beer brewers. Secondly there’s the addition of coffee. Coffee and dark beer have long been a pairing, but coffee in lighter beers is something of a crafty touch. What’s more, this isn’t a beer that has had coffee grounds added during the brewing, it has been mixed with cold-brewed coffee instead. Cold-brew is one of the more recent fads in craft coffee, with the past few years seeing coffee folk taking the process from a more industrial, overnight-steeped idea, often used for making lots of cheap, strong and not very nice coffee (beloved of Starbucks for making the base of a Frappucino™), to something a lot more delicate and refined. The coffee flavour in this beer is more towards the overnight steeping approach, rather than the very Japanese-feeling ‘single drops of water dropped onto a bed of grounds over many hours’ that has produced the best cold brews that I’ve tasted, but it’s still not quite the punch of a hot brewed coffee. There are two other pieces of information on the label that I think are worthy of note. First is the mention of using Bristol Beer Factory’s own ‘triple strain house yeast’. This could well be a return to the old ways, in an ‘everything old is new again’ turn. Beer brewers traditionally reuse their yeast, with a slow evolution from whatever stock strain they started with into a house yeast that becomes part of the character of their beer. However, with craft breweries not only usually being quite young, but also brewing different styles of beer, they generally use a few different yeasts. While they may have a house yeast around somewhere, championing its use as special shows how far we’ve come from some of the more traditional brewing techniques. The other thing that I like on the label is the bottling date. I’ve discovered over the past few years that not every beer likes cellaring, and I’ve ruined a few IPAs by hiding them in the dark rather than cracking them open as soon as possible. However, for many beers, some time in the bottle will definitely improve them, even if they’ve had some time in a whiskey cask beforehand. Generally, darker beers seem to improve the most, but strong lighter beers can as well, and from what I can find online, this is one of them. Compared to tasting notes I’ve found from June 2014, when it was bottled, it has definitely calmed down and become more integrated, and any distinctly alcoholic flavours, which you’d expect at 10% ABV, have almost qdisappeared. Nose: Cocoa nibs and cold-brewed coffee – a cross between damp grounds, earthiness and delicate coffee flavour – with lemon boiled sweets and a hint of cinnamon/nutmeggy spice. Taste: Thick with chocolate and coffee, with and almost chilli-like taste sitting behind it, with a little spicy tingle. Beside that there is a whole other line of flavour, with vanilla and overripe bananas fighting against bitter lemon zest (with pith), with the lemon finishing victorious. Finish: Vanilla is quickly overwhelmed by bitter lemon oil, before lingering acidic coffee and a touch of very dark chocolate. Wheat Wine is a good name for this, inasmuch as it definitely doesn’t feel like a beer any more – enough so that I had to crack open another bottle of beer after drinking it, just to make sure my palate wasn’t broken. The delicacy of the wheat beer has been swamped, other than the banana touches that meld with the vanilla from the bourbon cask. The coffee is, for me, a flavour too far, providing a dark chocolate note that pairs well with the vanilla, as well as a hefty acidity (verging on sourness, coffee nerds) that unbalances things and stays on the palate after everything else has faded. So, it seems that while I am curious and adventurous, I may not be as open-minded as I’d hoped. That said, I think I’d want to try this again with a longer stay in the cupboard – maybe a year or so. Over time, I’d hope for some of the sharper and more acidic notes to die down and stop masking the beer’s natural sweetness. That could work very well. 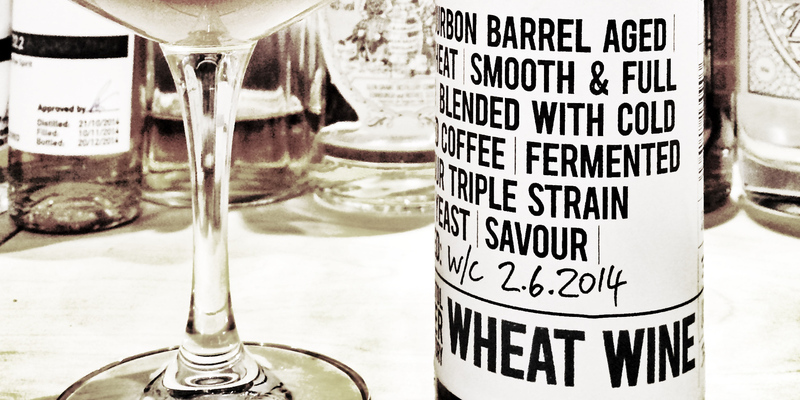 Strong Bourbon-cask-aged Wheat Beer with Coffee, 10%. Ta muchly to the lovely Jason B Standing for grabbing me this. I will find him an excellent saison in return.